An unfortunate fire occurred at the former J. McPhee and Sons General Store building on Saturday, March 23, 2019. The building is the current home of the Cona Hostel and is located on Anderton Avenue in downtown Courtenay. Arson is suspected. To find out more about the building history and to view images click here. 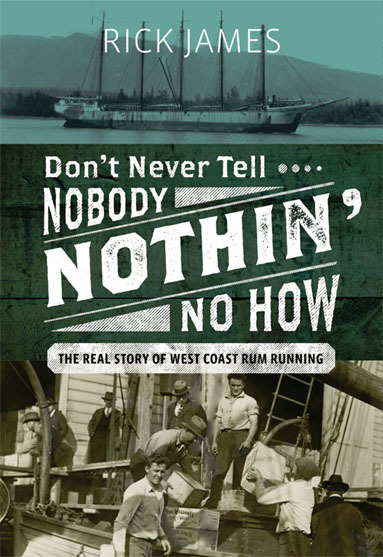 The BC Historical Federation is holding its annual conference in the Comox Valley from June 6-9, 2019. A roster of presentations and field trips is now available online and open to all. 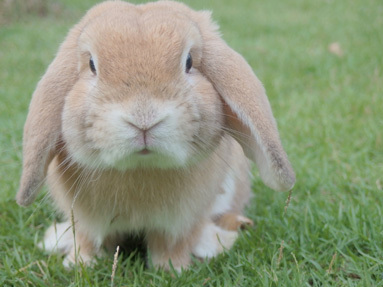 Petting zoo fun, crafts and games all in the name of Spring Fling and Easter Things on Saturday, April 6 from 11 am to 2 pm. 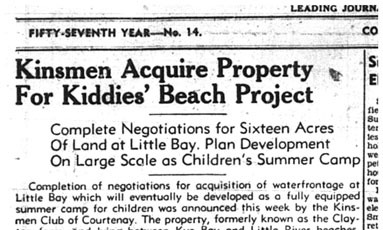 Big plans were stirring in 1940 as the Kinsmen Club of Courtenay began work on what we know today as Kin Beach. 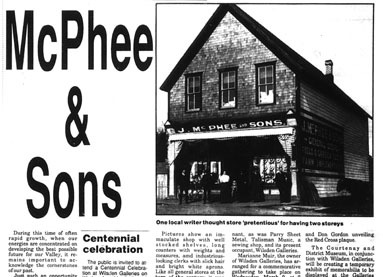 This article from the April 4 Comox District Free Press provides an interesting backstory to one of the valley's (somewhat) hidden gems. One of the newest items to hit our shelves are fun and fabulous tea towels! 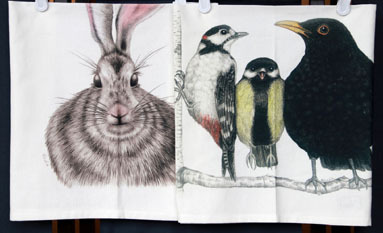 Decorated with animal designs by Charlotte Nicolin, they are made of 100% cotton and retail for $14.95 per towel. Designs available include hedgehogs, rabbits, birds, cows, moose and Canada geese. These towels have been such a hit that a second order has already been required. And (wait for it...) matching mugs are also on their way. These items would make a great housewarming gift or a treat for your own home. Every community worth its salt needs a special gathering place. Merville got theirs with the official opening of the Community Hall on Saturday, May 22, 1954. Described in the Argus newspaper as having a grey, gaunt exterior but a light decorated interior, the 42 x 98 foot hall was built with volunteer labour. Jim Mathers chaired the grand opening celebration and reminisced on how meetings were first held in the school and then later in a dance hall built by Louis Biss. Click here to read the Comox District Free Press article of May 26, 1954. An original poem by Gladys N. King dedicated to the Hall's builders. Click here to read. 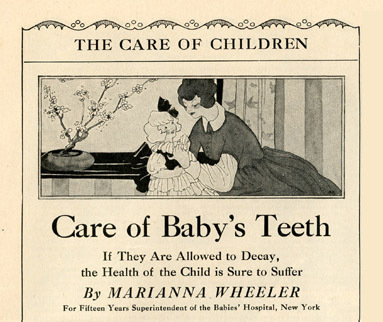 April is national oral health month so in the spirit of staying behind the times we present "Care of Baby's Teeth" from the December 1917 edition of The Christmas Peoples Home Journal. All kinds of helpful hints, recipes and practical "how-to" advice can all be found in periodical magazines from our archival collection. Purchasing a membership to the Courtenay and District Museum, now in its 58th year, supports heritage preservation in the Comox Valley through special events, lectures, education programmes, research and exhibitions. Your membership benefits these award winning programmes on a year round basis and we appreciate it! 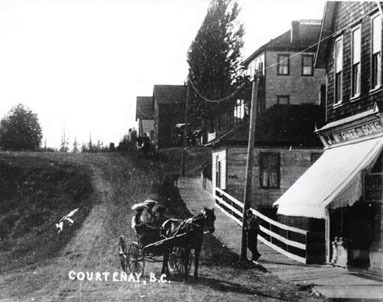 Here is the latest newsletter installment of an image from the museum's award-winning book Watershed Moments - A Pictorial History of Courtenay and District. 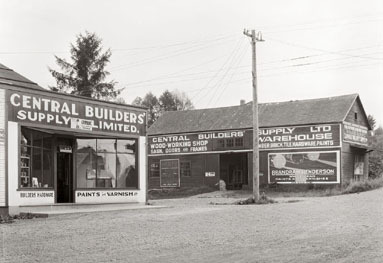 Photo credit: 6th Street view of Central Builders', 1932. Charles Sillence photographer. Photo: CDM Sillence Collection. Page 148.